and looking for a venue with style, convenience and outstanding food and service? The Y.O. 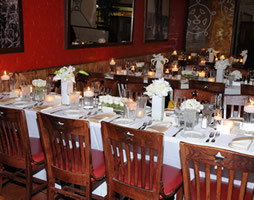 Steakhouse in Dallas is the perfect banquet location for your next event. With banquet facilities that can accommodate a small dinner for 20 up to a cocktail party or meeting with up to 300 guests, the Y.O. 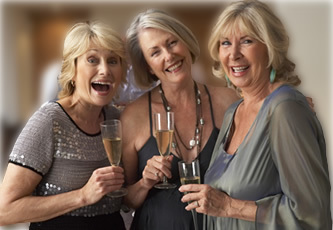 offers guests the very best banquet options in Dallas. The casual elegance of the Y.O. will immediately welcome your banquet guests, ensuring the total comfort and enjoyment of all attending. Reminiscent of an inviting Texas lodge, the banquet facilities at the Y.O. 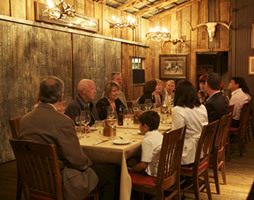 Steakhouse in Dallas are housed in a re-created 50-year old barn from the Y.O. Ranch. Equipped with a private entrance, full service bar, Wi-Fi and three plasma televisions which may be used for presentations or to loop a slideshow, the banquet facilities at the Y.O. 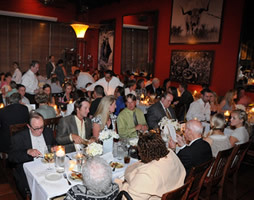 Steakhouse in Dallas are ideal for banquet groups of all sizes to gather in a comfortable, relaxed setting with all the conveniences required to accommodate your needs. The Y.O. Steakhouse in Dallas is widely-known for the exceptional quality of food. Home of the legendary Buffalo Filet Mignon featured on the Food Network as one of the nation’s best steaks, the Y.O. also has the largest game selection in Dallas, with each dish artfully crafted to achieve the utmost in taste and appearance. Rounded out with the most amazing appetizers, salads, soups, sides and desserts found in Dallas, the banquet menus at the YO Steakhouse in Dallas will thoroughly delight your banquet guests.